Our instructors all possess a unique story on how this practice has impacted their life. Each has their own reason for walking through the doors at the Hot Room and sharing the gift they’ve been so graciously granted, but they have one goal for their students: for them to experience the same transformation from this practice that they have. 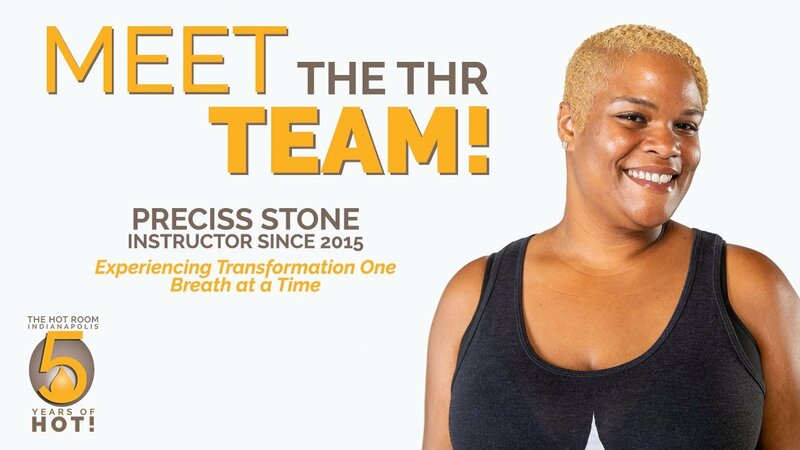 The Hot Room staff spotlight this month could not be more PERFECT for our theme of the month: Transform Your Life. When did you decide to teach, and what was the tipping point to enter the Original Hot Yoga teacher training? It was not even a year into my practice. I actually decided 6 months into the practice that I wanted to teach. This style of yoga was like nothing I have ever done. I felt so invigorated and challenged. I wanted to continue this feeling and figure out a way to bring this same feeling to others. I wanted to find a way to incorporate this into my community. Simply my love for it right from the start is why I wanted to teach. How have you transformed through the years as a teacher? I’ve transformed by learning more about compassion and how to apply compassion to each and every person who comes to practice at The Hot Room. Everyone that comes through our doors is dealing with something. You have to give everyone the space and allow people to get out what they need to in The Hot Room—it’s never personal. As a teacher it is my responsibility to hold the space for them and keep them safe. It’s huge to me to keep everyone safe mentally and physically. How do you apply yoga outside of the studio? Everyday life is breath. One breath at a time. I’ve been more aware of my breath, which is the foundation of everything I do. I’ve learned how to breathe and be more grounded in everything I do. I’ve also learned how to control my breath and how I look at things through my breath. It truly makes a world of difference. What is your favorite posture? Your least favorite? I have two favorites: Triangle in the standing series and Camel in the floor series. They are both challenging and invigorating at the same time. Each time I practice I feel like I break through another barrier. I always try to take myself to a new place in these postures each day. I look at myself as a blank canvas and listen to the words so I can learn more about me. For my least favorite, awkward part three. I cringe every single time I do this posture, but I am also thankful for it because it challenges me. It challenges me because when I think about some of the injuries I’ve endured, and how I must rely on my muscle strength in my legs and abdominals. I’ve learned to embrace the things I’ve disliked through this posture. Describe what you see watching The Hot Room community grow over the past five years. I can’t even begin to describe what I’ve witnessed. It’s amazing because it’s five years of The Hot Room helping the community live their best life. I’ve seen five years of sweat, hard work and determination, with so many members coming through our door with the same goal. It’s been a huge influx of different bodies and diversity. Not just in race, but diversity in body shapes and gender. It’s really amazing to see how the community has transformed. The Hot Room community truly makes this yoga accessible to every BODY!